If you have skype installed you can select the link below to call Mandy Connor DipCHyp, HPD, NLP, QCHPA (reg ) MNCH (reg). I am a registered and fully insured Cognitive Hypnotherapist and NLP practitioner, running a successful practice in Aberdeenshire. Cognitive Hypnotherapy is not about swinging watches, nor is it about reading scripts for the “problem” that you might have. It’s about understanding who you are and why you do what you do, whatever that is – whether there’s something you no longer want to do and you can’t help yourself, or perhaps there something you want to do and something is keeping you stuck. So whether it’s a habit that you want to break, whether it’s a fear, however large or small it can be changed, sometimes so simply and so quickly. Cognitive Hypnotherapy is an evidence based approach* that utilises the latest ideas from Neuroscience, Hypnotherapy and various other psychotherapy practices, to create a bespoke programme for positive change. How you do your problem is unique to you, therefore so should the approach to help you let go of it. I will guide, support and show you, you have all the tools you need to help make permanent change. Just by reading my page, means you're brain is already searching to find another way to be, which means change is possible, it may not always be easy, but it's possible! A big factor in the success of your therapy is having a good working relationship with your Therapist. It's important for you, that you feel comfortable and have confidence in how I could help you. Let's see if you think we could work together. I'll be happy to discuss your problem and answer your questions ( without any obligations), allowing you to decide if you think I am the right Therapist for you. Our initial chat and following sessions will always be in complete confidence, without judgement. Please give me a call on: 07827911316 or click here to send me an email for more information. I have first hand experience of dealing with Anxiety, depression and grief and the consequences that affect relationships, family dynamics and the struggle to find a work life balance. Searching for an alternative way to make changes and help others led me to the prestigious Quest Institute, Regents university London, where I trained. I've spent my career working with clients’ of varying ages, backgrounds and cultures and have successfully helped them cope and find a solution to let go of negative behaviours. I am registered with QCHPA, NCH and abide by their code of ethics. 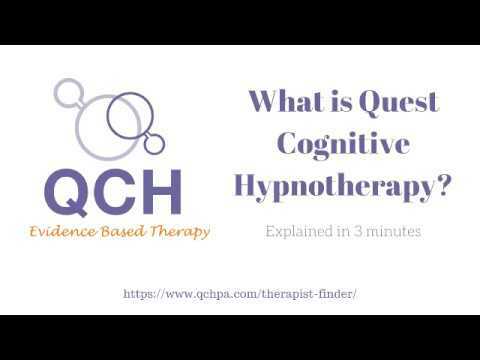 Quest Cognitive Hypnotherapy (QCH) launched a unique research project in 2011. Using a team of QCH therapists. Clients with anxiety and depression were assessed using the same outcome measures currently used to assess the effectiveness of talking therapies within the NHS. The pilot study was published in the Mental Health Review Journal in 2015. It recorded that, using 118 cases measuring the effectiveness of Cognitive Hypnotherapy for the treatment of depression and anxiety, 71% considered themselves recovered after an average of 4 sessions. This compared to an average of 42% for other approaches using the same measures (like CBT). 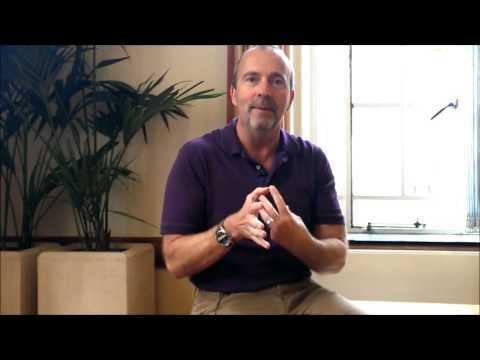 To our knowledge, this is the only hypnotherapy approach to have been validated in this way. I have a particular interest in Anxiety, Stress and issues surrounding confidence and low self esteem. Sessions in my Practice in Aberdeenshire are £90*. However if you think you would be comfortable in your own home, location doesn't have to be an issue, as we can have successful sessions via various webcam facilities. Perception Magazine, is an online (completely free) magazine, offering various articles, written by professional Cognitive Hypnotherapists. "I just wanted to say thank you to Mandy. I have suffered all my life with low self esteem and jealousy issues in my relationships. I felt completely at ease with Mandy, she has the ability to make you feel so relaxed. We talked and Mandy gave me a way to deal with my jealousy. I couldn't actually believe that this could work. But it did. I will be always very grateful. Thank you Mandy." "Being deaf is truly awful and without professional help can lead to a sad and lonely life on the edge of your social circle instead of interacting and being fully engaged with your friends and even your family. Imagine now how much worse it can be if you also have to deal with Tinnitus. Fellow suffers will know how absolutely devastating it can be. In my case it came very suddenly and dramatically in an unexpected way. I was awakened in the early hours of one morning by what I thought was “anti social behaviour” by a group of people who I thought were in my front garden. They were shouting, arguing and singing, very, very loudly and all at the same time. How strange and how puzzling for me as I could hear these people so loudly when I had removed my hearing aids before retiring to bed. After a good few minutes I decided to confront the group and hopefully persuade them to be quiet and move on. Drawing back the curtain and on opening the window I was completely baffled to find there were no people but I could still hear the noise. These noises became a regular unwanted early morning visitor to disturb my sleep leaving me feeling tired and lacking energy throughout the day. I wanted help first to understand how I can hear these noises when no one else can hear them and then hopefully obtain treatment in the form of medication to deal with whatever is the cause of all this. An appointment with my audiologist confirmed the condition known as Tinnitus and there is no help available in the form of medication but there is “sound therapy”. This would involve listening to pre-recorded sounds as an aid to induce sleep. Of course my problem was not that simple as I was being wakened up from sleep after a few hours. There were short periods when the tinnitus did not appear but even then I wakened up as my sleep pattern was now set. Only on the odd occasion did I manage to sleep through. After several weeks of the same relentless struggle to deal with my Tinnitus I saught help through professional counselling with a fully qualified Cognitive Hypnotherapist who would introduce me to EFT(Emotional Freedom Techniques) as an aid to control my tinnitus to such a degree that it no longer interrupts my sleeping. My sessions with Mandy were carried out in my case via a video link using the internet. It was very well presented, easy to understand and the techniques to be learned were very simple. In only a couple of sessions I was ready to apply what I had been taught. I am very much indebted to the understanding, the professionalism, and the skill of my therapist Mandy Connor who helped me control my problem with Tinnitus." "It was so easy to write this because you really have made a difference to the way I think about chocolate, so thank you, please feel free to use this if helpful. Once again Mandy thank you so much for your help. Being a self-confessed Chocoholic I never imagined that by spending an hour with Mandy Connor would or even could change my attitude towards my favourite habit! I have always been renowned for my sweet tooth and would eat chocolate several times a days without even thinking about it, so when Mandy talked to me about my attitude towards chocolate and it really did seem just like 2 friends talking, I could not believe just how easy she refocused my attitude and thought process. Well one month later I am as surprised today as I was after our consultation. I can certainly recommend Mandy, her approach and attitude it really special. 10:00 - 18:00 Monday to Saturday. (Flexible appointments available by arrangement).